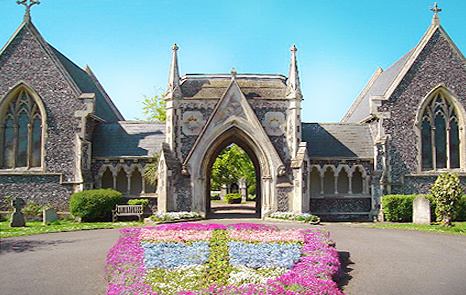 The council operates two cemeteries one in Chichester and the other in Hampers Green Petworth. They are both administered by sympathetic staff and offer tranquil surroundings for contemplation and a fitting resting place for your loved ones. At Chichester District Council, we pride ourselves on managing our Cemeteries at Chichester and Petworth in a caring and sensitive manner. Just as important is our determination that your dealings with us should be handled professionally and sympathetically. The cemeteries are managed and operated in accordance with the Local Authorities' Cemeteries Order 1977 as amended by the Local Authorities (Amendment) Order 1986 and such other regulations as may be made by the Secretary of State for the Home Office. Cemeteries are peaceful and tranquil places, somewhere to spend some quiet time remembering loved ones, a place for reflection, a warm welcoming location where you can sit quietly, alone with your own thoughts, or talk with others. We welcome all visitors to our cemeteries but ask you to respect the peace, dignity and reverence of the facilities. The cemeteries are a place of quiet contemplation and reflection. As such, any person creating a disturbance, interfering with a burial or grave (including memorials, mementoes and plants) will be required to leave the cemetery. Dogs are permitted in the Cemetery as long as they are on a leash and kept under control. It is not acceptable to use the cemetery grounds as an exercise area or allow your dog to foul in there. Our cemetery service offers practical advice and support for those who have been recently bereaved and also to others who may wish to visit our cemeteries. If you are arranging a funeral and are using a funeral director, they will be able to offer a comprehensive service, including sensitive advice and information. However, you are still more than welcome to contact the Cemetery Officer for any other help, information or reassurance that you feel you might need at this very difficult time. The Cemetery Manager is available during normal office hours and is based at the Contract Services Depot, Stane Street, Westhampnett, Chichester PO18 0NS. Please contact Cemetery services. The gates at Chichester Cemetery are open to the public from 8.00 am until 5.00 pm (or sunset whichever is earliest) Monday - Friday and 9.00 am - 5.00 pm (or sunset whichever is earliest) Sat/Sun/Bank Holidays. Vehicular access is permitted but we respectfully ask that you keep to the tarmac road and do not drive on the grass/grave areas. Please also be aware that there is a 5 mph speed limit within the Cemetery grounds. The Chichester District Council reserves the right to restrict access to the public whilst there is a funeral in progress. If someone dies at home, you must call your doctor who will sign a medical certificate confirming the cause of death (unless the matter is referred to the Coroner). If the death happened in hospital, the doctor there will issue the certificate. You must take the certificate to the Registrar of Births, Deaths and Marriages within the area where death occurred within 5 days (this is a legal requirement). An appointment will be required. If available, take the medical certificate and the medical card. They will also need to know if they were receiving a pension or other benefit. The Registration Office for Chichester District is administered by West Sussex County Council & can be contacted via their West Sussex County Council . The registrar will give you a certificate of registration of death and a certificate for burial or cremation which should be given to the funeral director. You may need several copies of the death certificate to send to banks, building societies and insurance companies (there is a fee payable for copies). The funeral is a time for saying goodbye to the person who has died and for celebrating their life. It gives family and friends the chance to support and comfort each other. What sort of funeral do you, and other family and friends want? Do you want a quiet family gathering or an elaborate ceremony? Will there be a religious service? You may wish to make all the funeral arrangements yourself. You should seek advice from the council before proceeding. However, most people do use a funeral director. If you are the partner or close relative of the deceased and are responsible for arranging a funeral and are on a low income, a Funeral Payment can be claimed from the DWP Social Fund if you are in receipt of a qualifying benefit. You can apply for this at any time from the date of death up to three months after the date of the funeral and it should cover the cost of a basic funeral. You can make a written claim by completing form SF200 "Funeral Payment from the Social Fund" which is available from Jobcentre Plus. In addition, if your husband, wife or civil partner has died as a result of an industrial accident, or died under the retirement age, you may be able to claim a Bereavement Payment; a one off payment of £2,000. In some circumstances it is possible to obtain a payment to help with the cost of a funeral. Chichester District Council does not make any payments to relatives or friends of the deceased to help with the cost of the funeral. If a person has died and there is no next of kin or family to administer and pay for it then the council has an obligation under the Public Health Act (Control of Diseases) Act 1984, Section 46 Disposal of Dead Bodies to make satisfactory arrangements for the burial or cremation of the deceased. Under the Public Health (Control of Disease) Act 1984 local authorities it shall be the duty of the local authority to cause to be buried or cremated the body of any person who has died or been found dead in their area, in any case where it appears to the authority that no suitable arrangements for the disposal of the body have been or are being made otherwise than by the authority. In most cases notification is normally received via the coroner's office but can come from an individual, the Hospice or a Home where the deceased may have been living prior to their death. If the person died in hospital and there is no known next of kin or relatives then the hospital will usually deal with organising the funeral. An authority may recover from the estate of the deceased person or from any person who for the purposes of the National Assistance Act 1948 was liable to maintain the deceased person immediately before their death expenses incurred under sub-section (1) or sub-section (2) above, less any amount recovered by the authority by way of a death grant in respect of that death under Section 32 of the Social Security Act 1975. The Local Authorities have contracts with funeral directors. If any person other than the contract funeral director is asked to make arrangements, the Local Authority cannot be responsible for any costs incurred up to that point. Normally the deceased will be buried in either the Chichester or Petworth Cemetery as the plots belong to the council and therefore would not need to be paid for, unless the council has any reason to believe such a funeral would be contrary to their wishes or religious beliefs and in such cases a cremation can be arranged. Under the provisions of Section 50 of the National Assistance Act 1948 the council has the power to recover the costs of the funeral from the estate of the deceased person. Any funds, in excess of £500, remaining from the deceased person's estate will be forwarded to the Treasury Solicitor (Bona Vacantia). Decisions on such matters will be made purely on a case by case basis once all facts regarding their affairs have been established. In order to establish who will be responsible for undertaking the funeral arrangements, a full search of the premises where the deceased person formerly resided, if appropriate, will need to be made to ascertain whether there are any next-of-kin or indeed if there is evidence of a will. Two officers from the district council will attend the premises to carry out the search and list all items removed from the property. The council officers will make every effort to ascertain if there are any contact details for family or friends of the deceased and endeavour to liaise with them on the funeral arrangements. The coroner will usually make enquiries regarding next of kin before passing the disposal of the body over to the Local Authority and in some cases may put an announcement in the local press for anyone related to or knowing the deceased to come forward. If any estate remains after we have recovered our expenses and the deceased has no living blood relatives the council will refer the estate to the Government's Treasury Solicitor for final administration. Please note, Chichester District Council does not operate Chichester Crematorium.